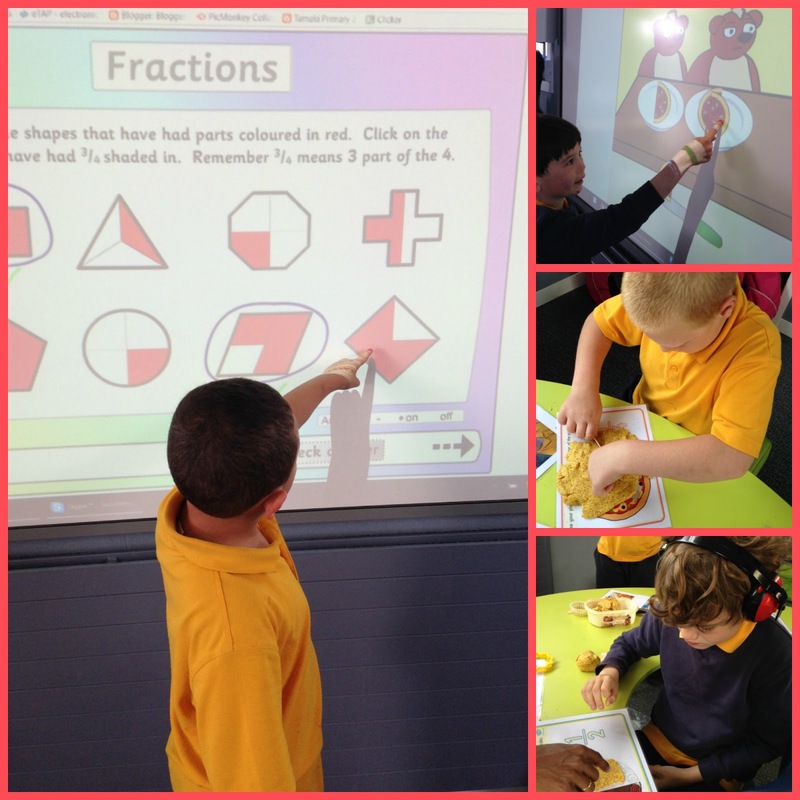 This term our maths topic is fractions. We practiced sharing play-dough pizza between two people by cutting it in half. We know that a half is two equal portions. We all love working on the whiteboard to complete maths activities.